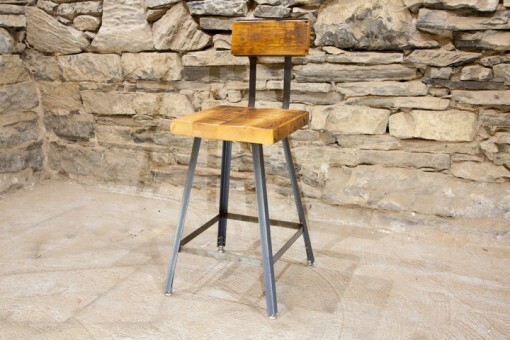 Urban industrial style at its best! 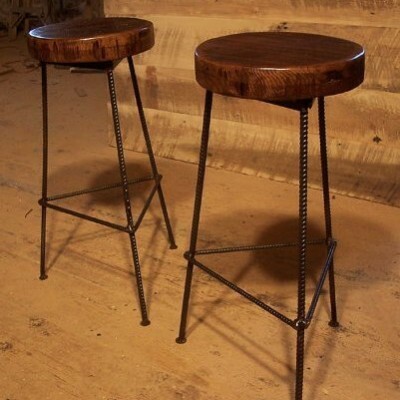 These bar stools are the perfect balance of funky character with a modern styling. 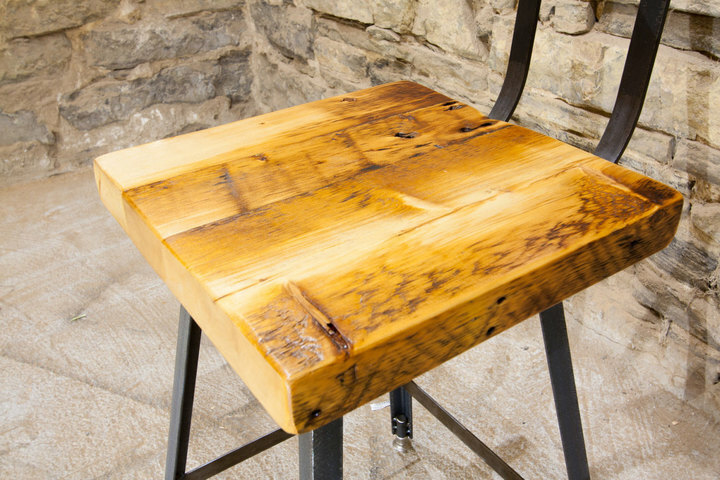 Great for your kitchen, basement bar, micro brewery or urban cafe. 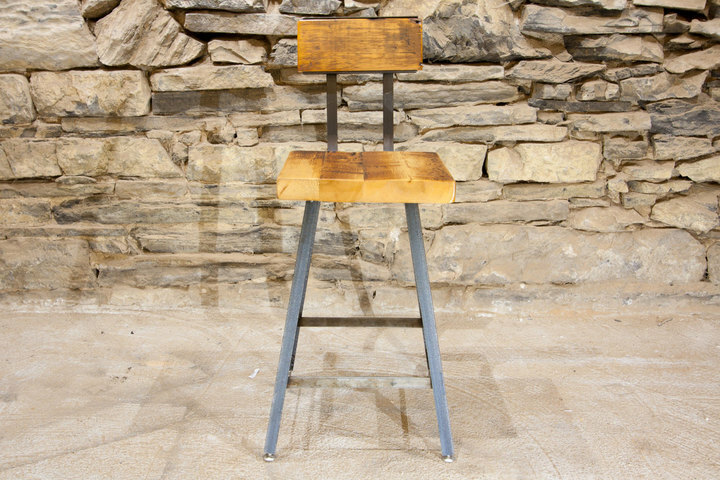 Made from welded industrial metal legs and featuring a beautiful reclaimed wood seat and back, they are cool, durable and tough! 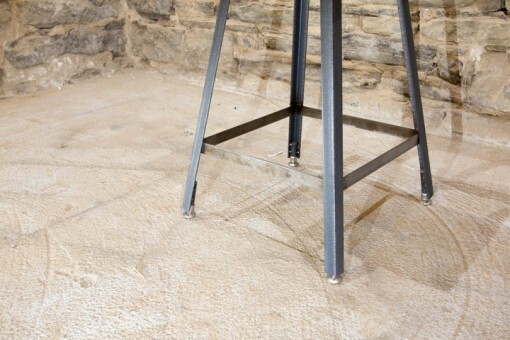 All our stools also ship with heavy duty swivel gliders on the feet to protect your floors. 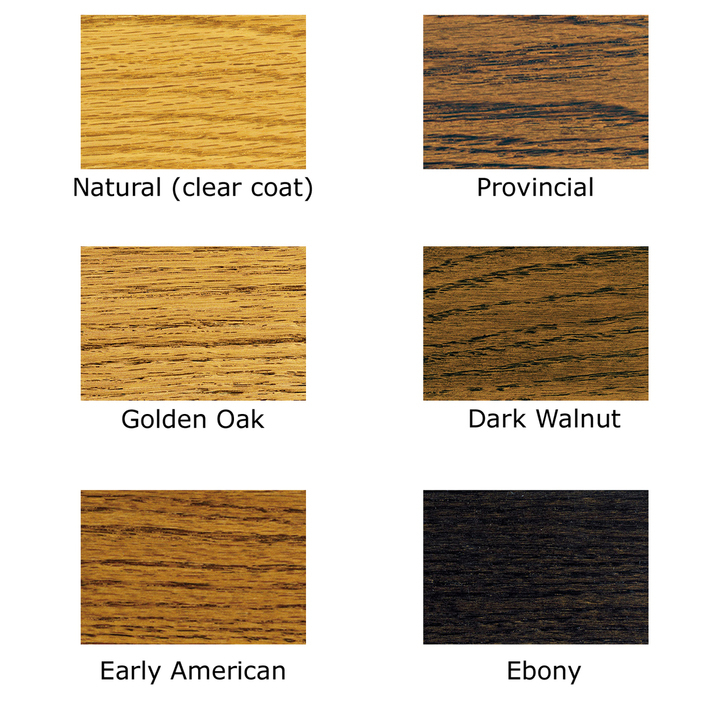 The base can also be powder coated just about any color you can imagine for an additional fee. 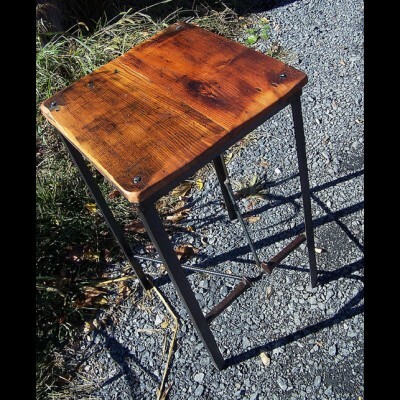 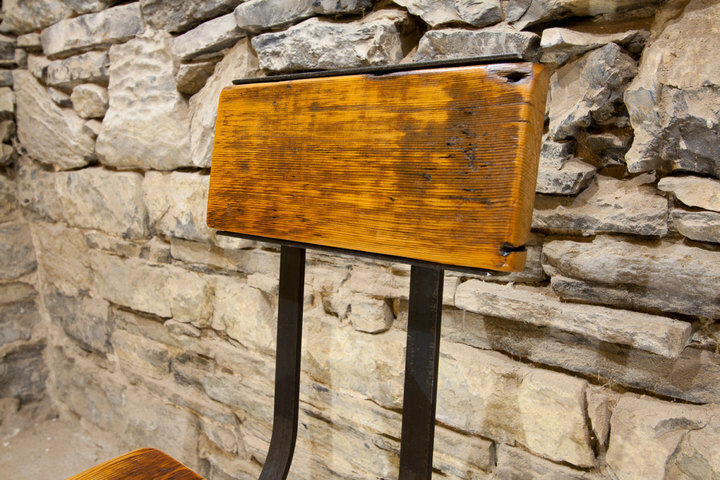 Pictured here with a clear-coated reclaimed wood seat and raw industrial steel base, though other stains and colors are always available. 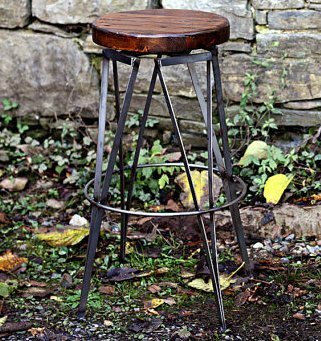 At home in any setting, these are great for cafes, bars and restaurants. Get yours today!